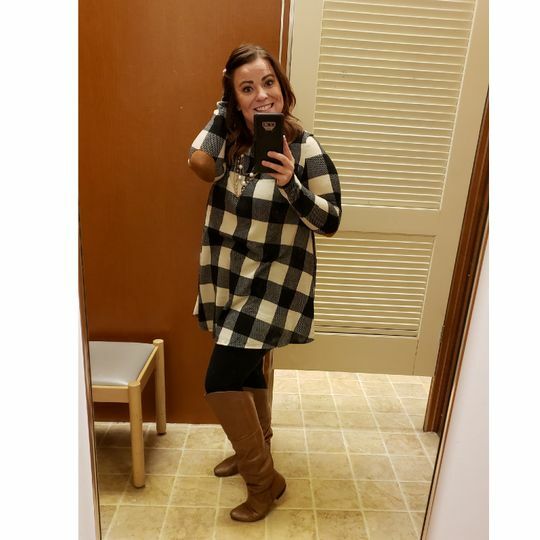 You will look so cute in this new Ivory Plaid Short Dress with Elbow Patches! We absolutely love the plaid design and suede elbow patches. Make sure to add this cute dress to your wardrobe! I got so many compliments on this dress. It was perfect for a birthday party with tights under, warm enough in the winter too. 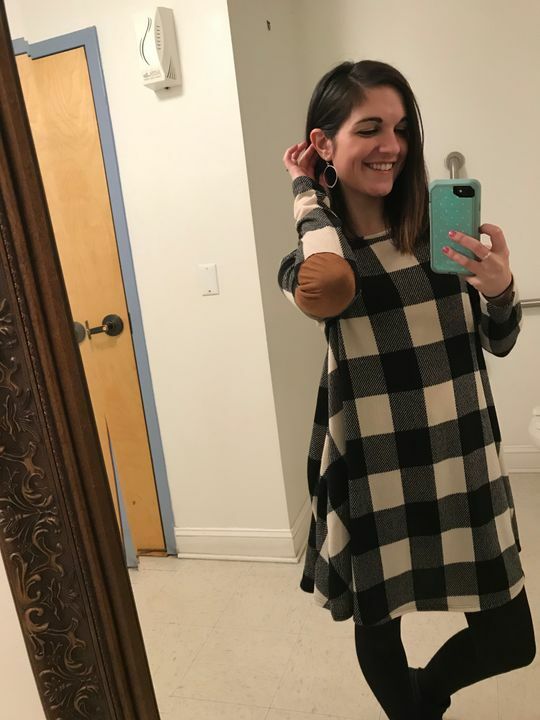 I love this dress, however it's rather short so I wasnt comfortable wearing it as a dress like I'd hope to that's the only reason I took a star away, if I lifted my arms up the dress was no longer a dress, but I added leggings and boots and it was perfect, so many compliments!